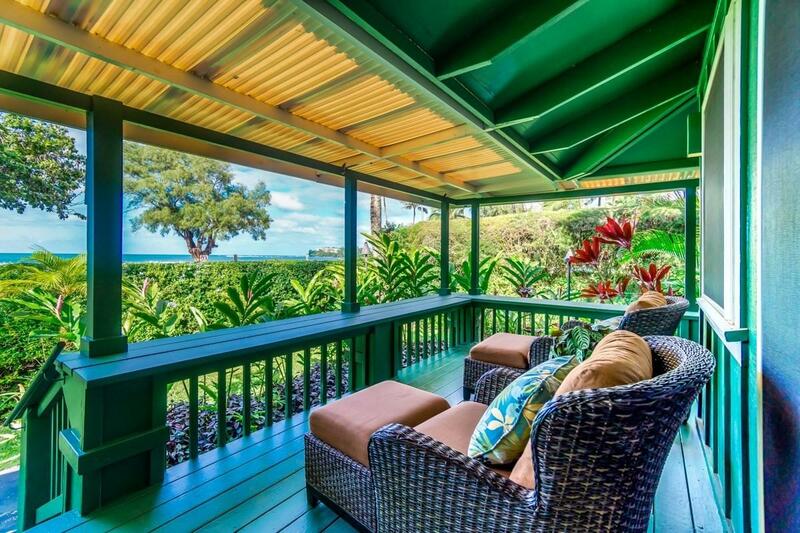 This home is truly a secret nirvana for any ocean or surf loving household. 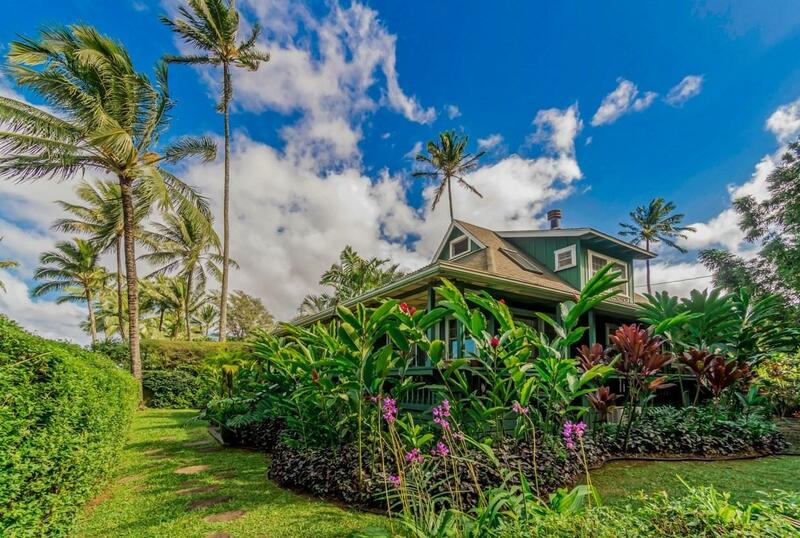 Ka Ehu Kai is a very successful vacation rental. 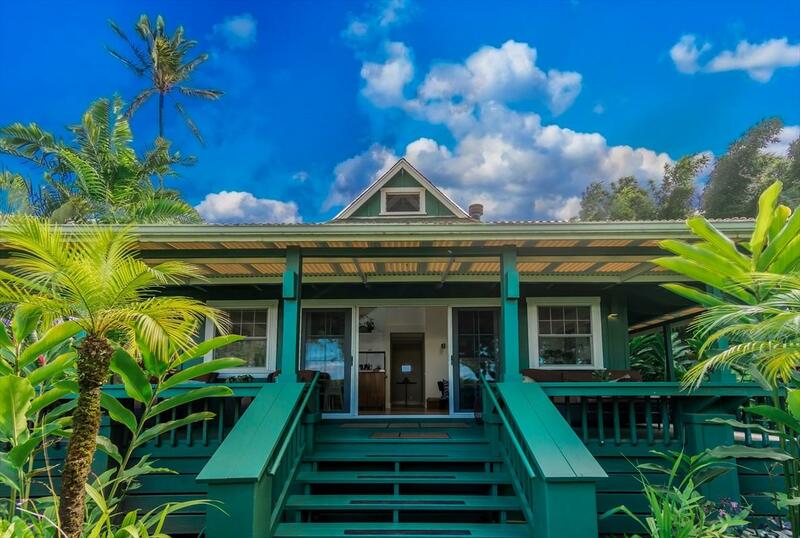 Hidden behind gates and high hedges is this a beautiful and immaculate cottage overlooking the ocean at Pine Trees beach at Hanalei Bay. 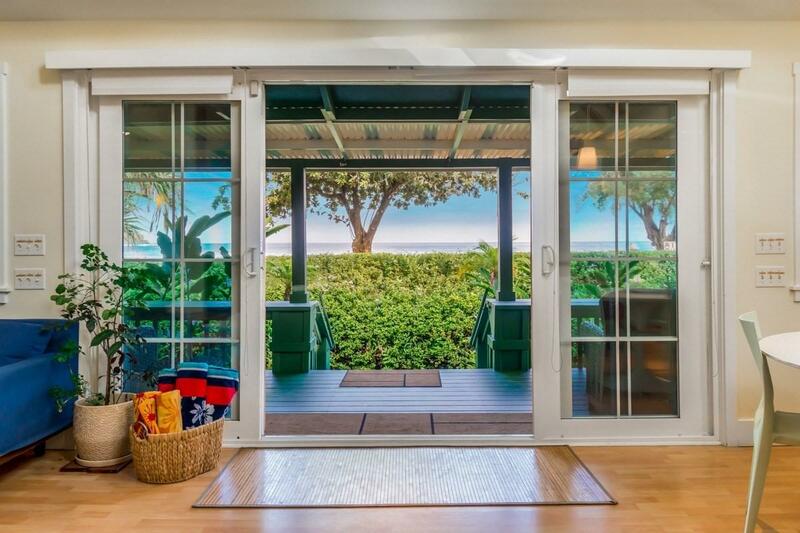 Outside is a wraparound lanai that greets you before you step into the great room with spectacular tropical dcor and ambiance. Both the kitchen area and the hearth around the living room fireplace are finished in polished stone. Comfort, coziness, and relaxation ooze all about. Also located on the ground floor are two generous bedrooms along with two well designed bathrooms; again, handsome tile-finishes are extensive and delightful. Upstairs is a large loft area for multiple uses; space in this cottage is well used and thoughtfully orchestrated. Outdoors is equally enchanting featuring a carefully crafted outdoor shower area, a bamboo Zen garden for meditation, ample & private lawn areas for lounging, beautiful flowers including orchids; fresh bananas for the pickingtruly luxurious indoor/outdoor living right at one of Kauais most treasured beaches.